Our nation will be celebrating another birthday soon! Here's a fun inexpensive craft for the kids to make. Get out some red, white, and blue craft supplies and make some fun wind socks with the kids. Decorate a rectangular piece of cardboard or heavy paper on one side. Use crayons, markers, stickers, etc. Roll the rectangular piece of cardboard into a tube shape and glue or staple. On one end of the tube punch 2 or 3 holes. Loop a piece of string or yarn through the holes. Tie the piece(s) of string to the cardboard. On the other end of the tube glue approx. 5 streamers. These wind socks will look great hanging on a porch, fence, etc. 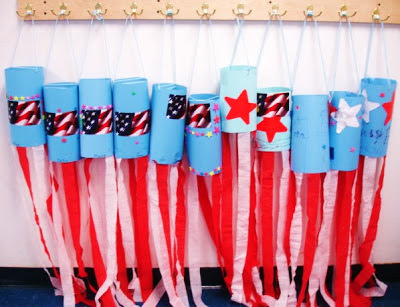 Have fun celebrating our nation's independence and enjoy observing the wind with wind socks! Kathleen at Middle Grades Maven is having a wonderful GIVEAWAY of Teacher Resources! My donation to the giveaway is in the K-2 Bundle. It is my Summer Numbers 0-10 Coloring Book with Ten-Frames ... a fun coloring book that sneaks in some summer math for young kids! :) .. and helps prevent that awful summer brain drain! To learn more about my product or a similar product with numbers 10-20, just click on the picture directly above. I hope you had a chance to read my previous post about INSECTS! 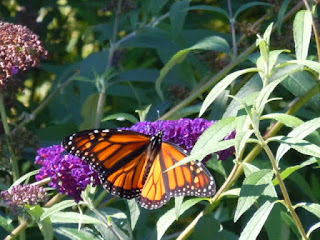 Today I want to give you links to some of my past posts about BUTTERFLIES. Kids are usually very excited to learn about these delicate creatures. I hope you will find some of these posts useful in your teaching. Included are posts on symmetry, life cycles, camouflage, a Venn Diagram and caterpillar and butterfly crafts. Just click on the links below to go directly to the blog post. I've put together some of my previous posts about insects. They include an introduction (What are insects? ), a word search, a paper plate craft, a link to a video by Bill Nye, and a how to draw insects web page. Just click on one or all of the links below to go directly to the posts. My next post will have lots of ideas for learning about butterflies. Labels: Insects for Kids, Insects Video, Insects Word Search, Ladybug Craft Activity, What are Insects?